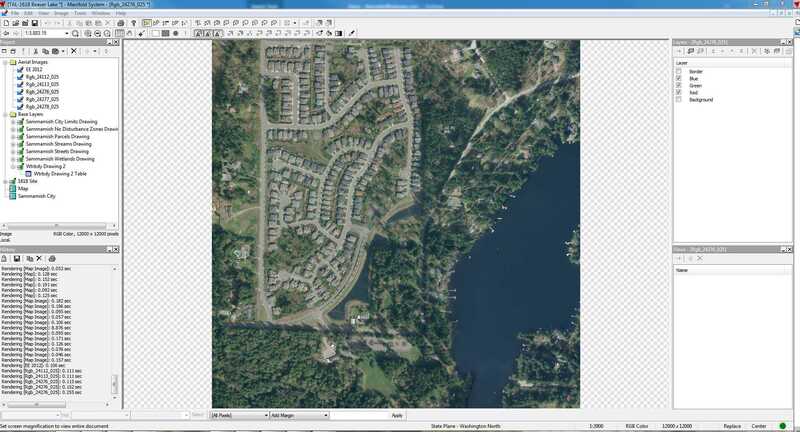 I like to use M9's "Merge Image" function to paste together geotiffs and LIDAR files. It is fast and does not affect the resolution of the resulting images. I noticed recently that there is a distinct difference in color balance of geotiffs imported using M8 and the same geotiff imported using M9. The image imported into M9 appears muted, while the same image imported into M8 appears to have a brighter color balance. I have attached two screen captures showing the differences. I am unable to provide the source file because it is too large to post and a direct link to the source cannot be made. That said, the image is a high-resolution aerial image from 2012 (file name 'rgb_24276_025.tif') that can be downloaded from Earth Explorer (U.S.G.S. website http://earthexplorer.usgs.gov). 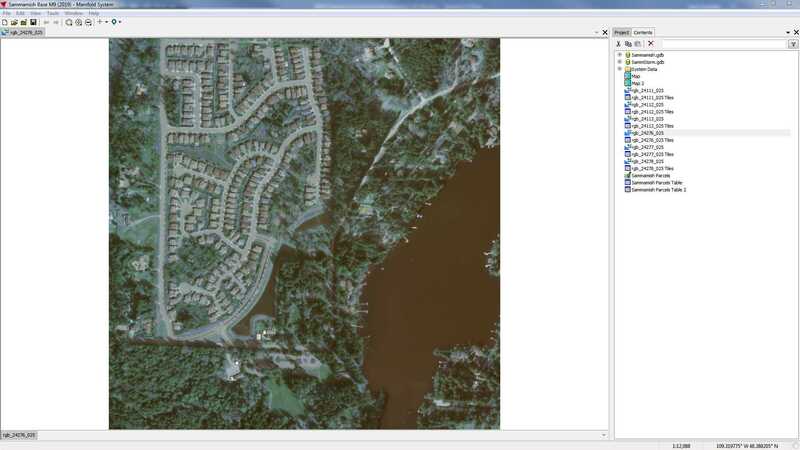 I have noticed this on several geotiffs uploaded into N9, so the specific file is not the likely problem. Am I missing a step in importing images into M9? Well, I have duplicated this visual difference using the same file imported. I have also played with some of the Mfd9 Auto-contrast settings on each of the channels. I am assuming your goal is to achieve the same color balance in Mfd9 as you have in v.8.? Ok. once imported to Mfd 9. You need to reassign the channels. With the image open, Hit Ctrl+5 to bring up the Style pane. Beneath the pull down showing "(use RGBA channels)", you will see a 2X2 square matrix button. This will change the default association of channel assignment. Choose RGB rather than the default BGR. This will correct your issue. There has already been discussion on this prior in the forum. I am just now getting back to speed on usage in the newer system. Cheers. Thank you and you are correct! It was discussed in a previous discussion that I was a major contributor to. Having a "Senior Moment," I think!